What’s new in this article is that the new products Red Hat Decision Manager and Red Hat Process Automation Manager have been added. You can now leverage their respective image stream and templates to kick start your business rules and process automation needs. If you’ve been following my journey through the application development phases of my storytelling, it’s fairly obvious I’m a fan of cloud based solutions like OpenShift. This is how application development goes from local resources and moves on to remote resources, while developers continue to work locally in the same manner as always. Run ‘init.sh’ or ‘init.bat’, then sit back. It checks automatically for the required dependencies, if missing a pointer is provided for downloading these requirements. This means no worries about finding out what’s needed, just run the installation relax. 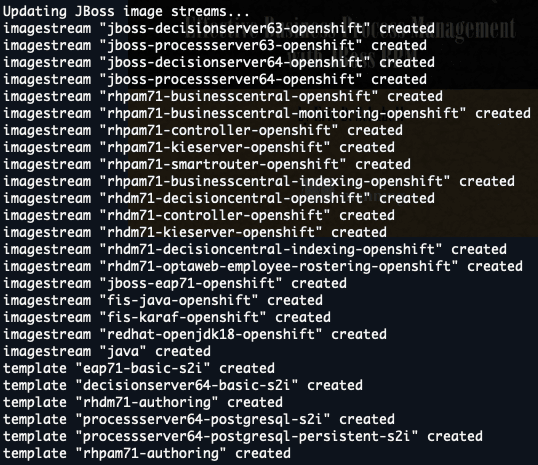 Figure 2: Some JBoss middleware container images now includes Red Hat Decision Manager and Process Automation Manager images and templates. Also note, that if this installation ran before, it’s setup to always give a clean running installation by fixing anything that is left running or blocking a new installation. No intervention should be required by you. Now it’s almost ready, it just needs to show how to log in. 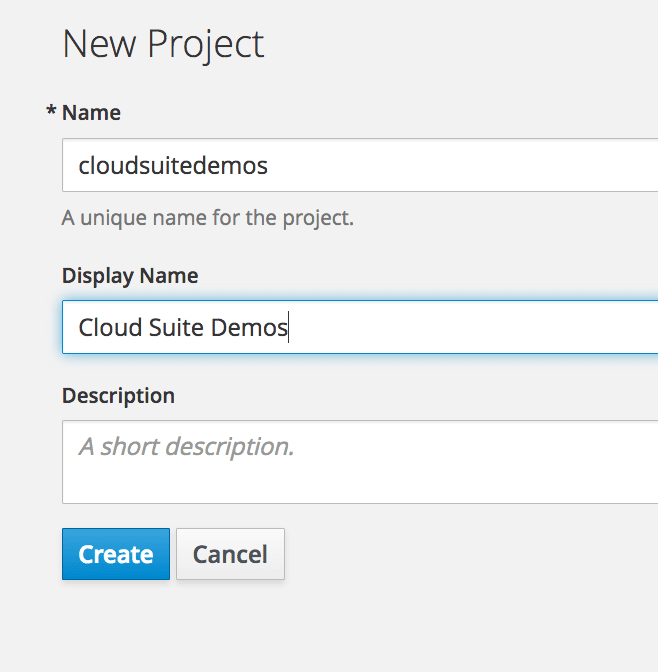 Red Hat Cloud demo projects. 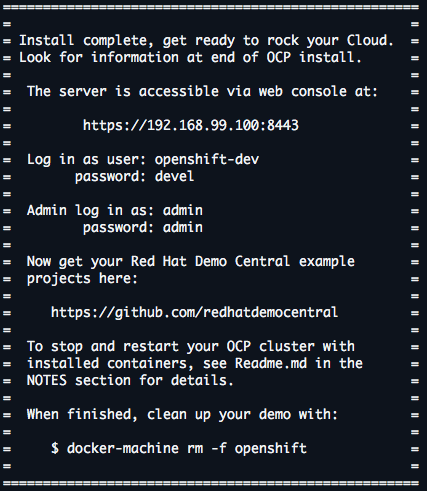 This concludes the installation of OpenShift Container Platform and you’re ready to start containerized application development. I assume you can find more information online if you’re interested in getting started with the basics of container development on OpenShift Container Platform, so I won’t go into that here. Here’s wishing you many happy days of containerized application development in the cloud!